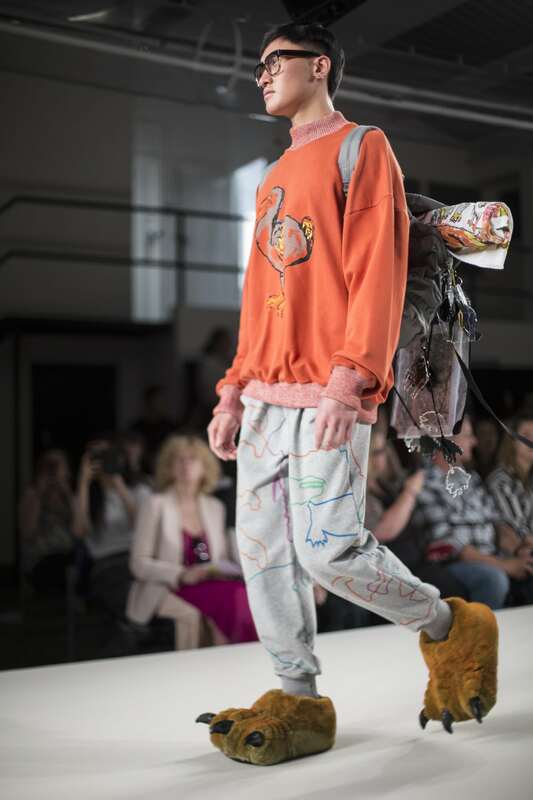 “My final collection is based on extinct animals and is full of colour. It’s really bold and bright. I’m all about colourful and fun fashion and I like my work to stand out for that. Bold print is a major part of my work. I styled this with the dinosaur feet to add some humour to the project. I’m not really a very serious person and I like that to show. My final project heavily incorporates print and textiles, using screen print and digital print and digital embroidery techniques.